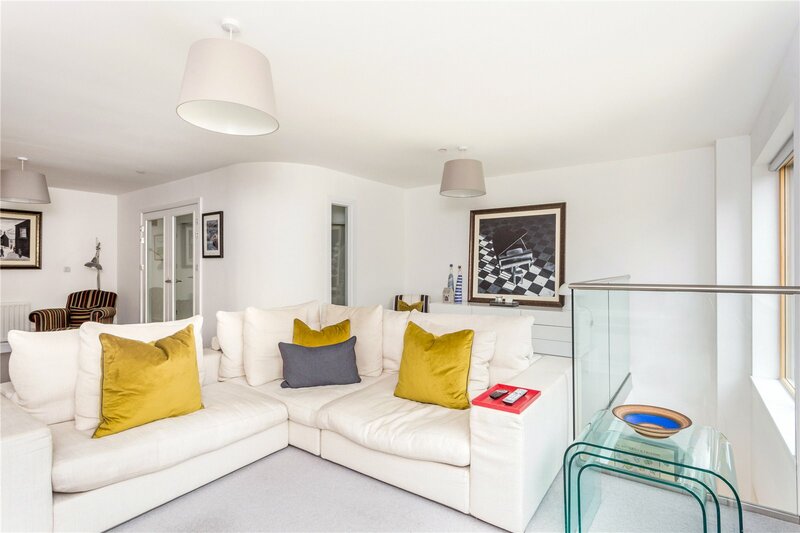 A contemporary townhouse in one of Cheltenhams most desirable locations. 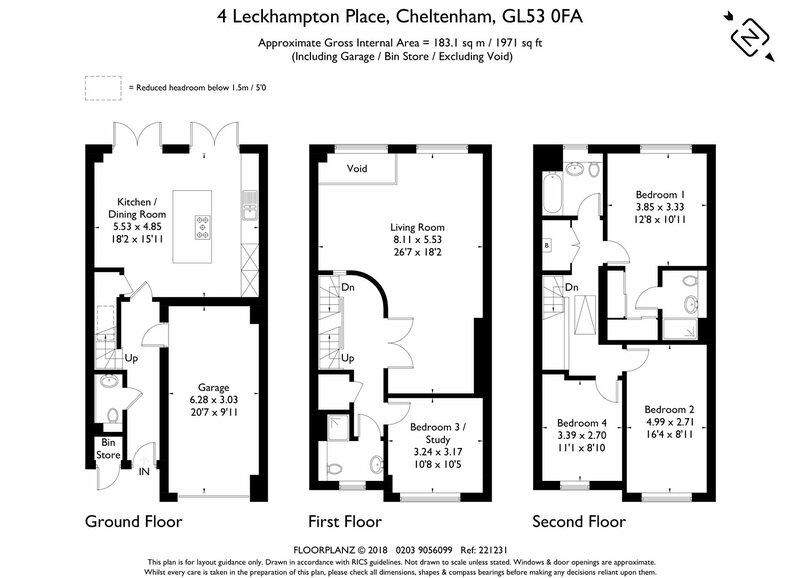 Leckhampton Place is a quiet enclave, set just off Leckhampton Road, undeniably one of Cheltenhams finest residential addresses. 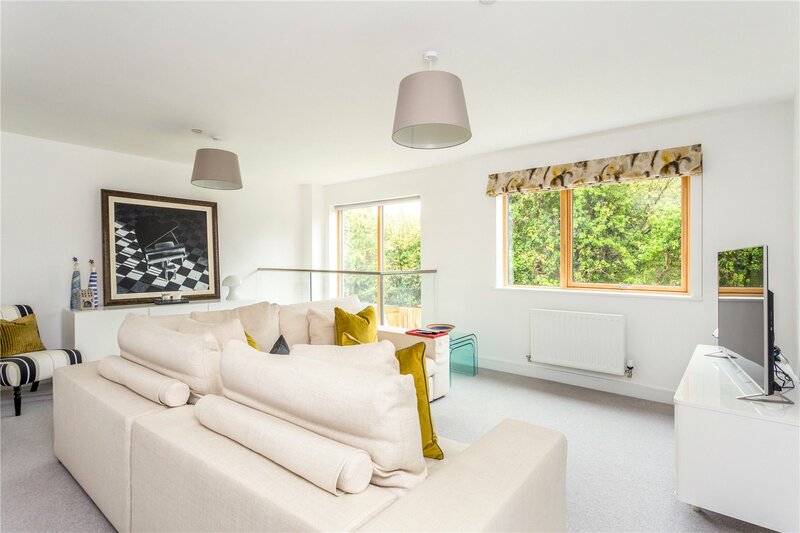 Number 4 is ideally situated within a short stroll to the cosmopolitan shopping areas of Bath Road. 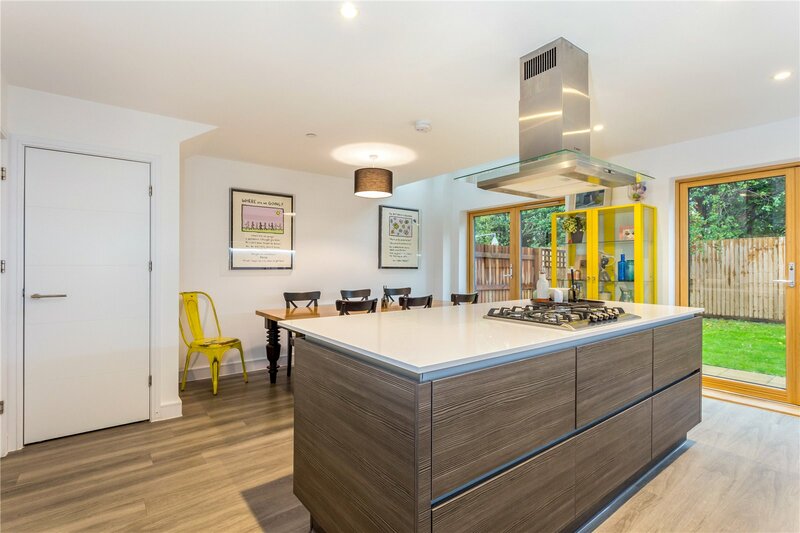 Well known for its eclectic mix of boutiques, coffee shops and eateries, this prestigious area is well placed for easy walking access to a more comprehensive range of facilities in Cheltenham town. Schools both within the state and private sector are particularly excellent and all within walking distance to include, The Cheltenham Ladies College, Cheltenham College and Dean Close and the well reputed Leckhampton primary School. This and the excellent communication access to major motorway networks make it perennially popular for families. Number 4 forms part of a uniform terrace of attractive townhouses, these pretty homes were built two years ago by reputable Crest Nicholson, to the most discerning standards of comfort and luxury. 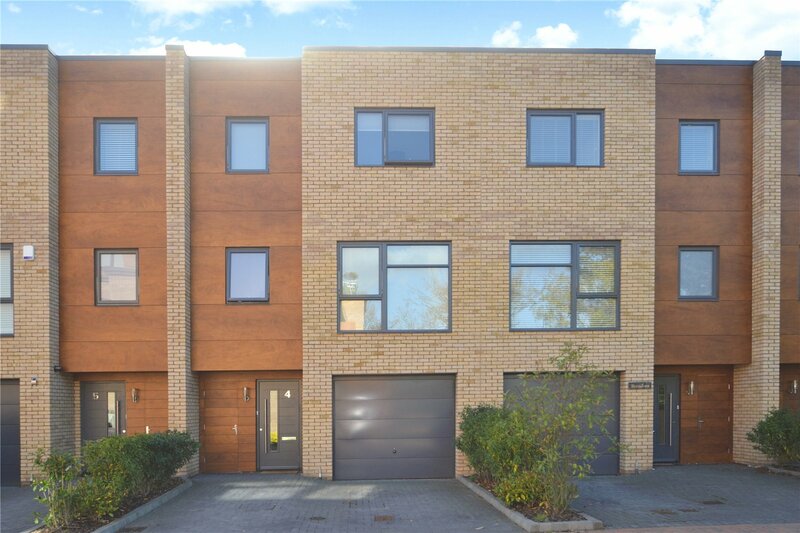 The appeal internally is the light and spacious accommodation on offer which is principally open plan, designed to reflect contemporary and modern living. 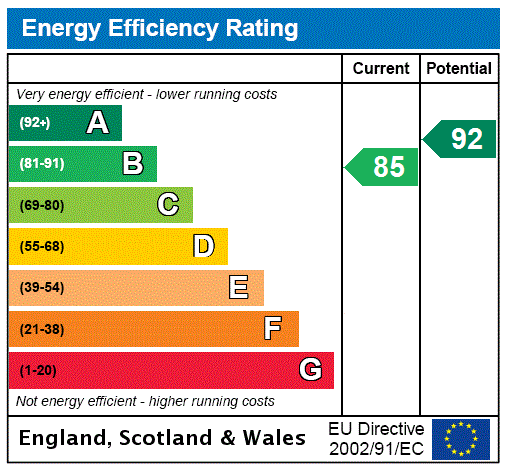 Particular thought has been given to a quality finish with high end appliances and fixtures throughout. 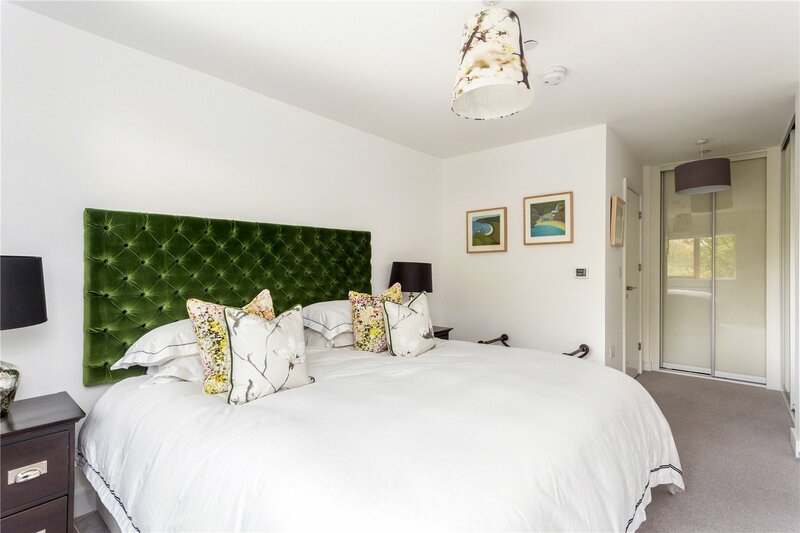 Balanced living to bedroom space combines with impressive accommodation over three floors, making the very best of space, style and specification. 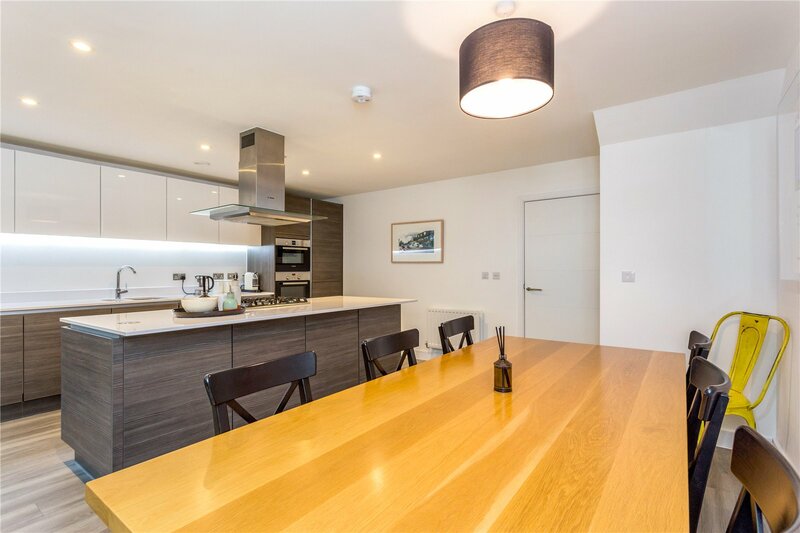 Entrance is gained through a reception hall leading to the magnificent kitchen which is the real hub of the house. 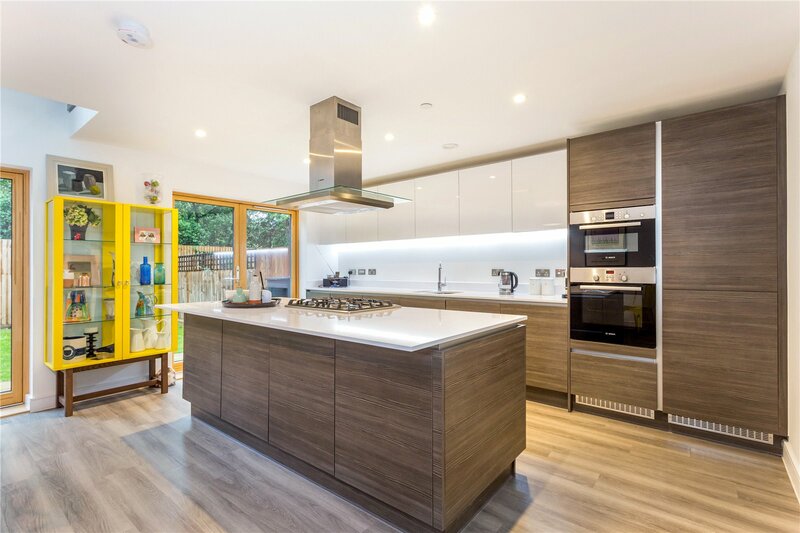 Fitted with a range of units and integrated Bosch appliances a breakfast bar divides the room to an area for a dining table. Two sets of double doors open onto the terrace and further onto the garden. There is internal access to the garage from the hallway, a cloakroom completes the accommodation on this floor. The staircases rises to the substantial sitting room on the first floor, a statement room with an open atrium style gallery overlooking the kitchen below and a curved wall. A guest bedroom is arranged to the front, this spacious room would easily double up as a study. Adjacent to this is a shower room. The staircase continues to the excellent bedroom space on the second floor. 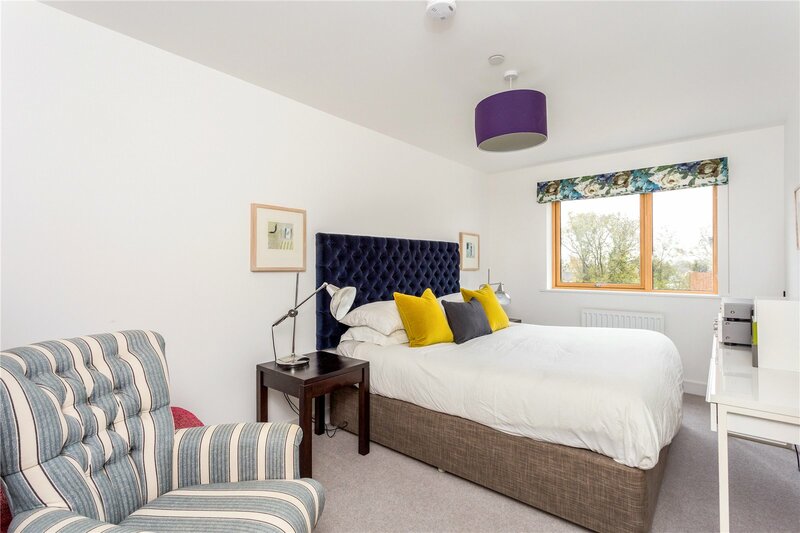 The master bedroom is an excellent size with a series of fitted wardrobes and en suite shower room. 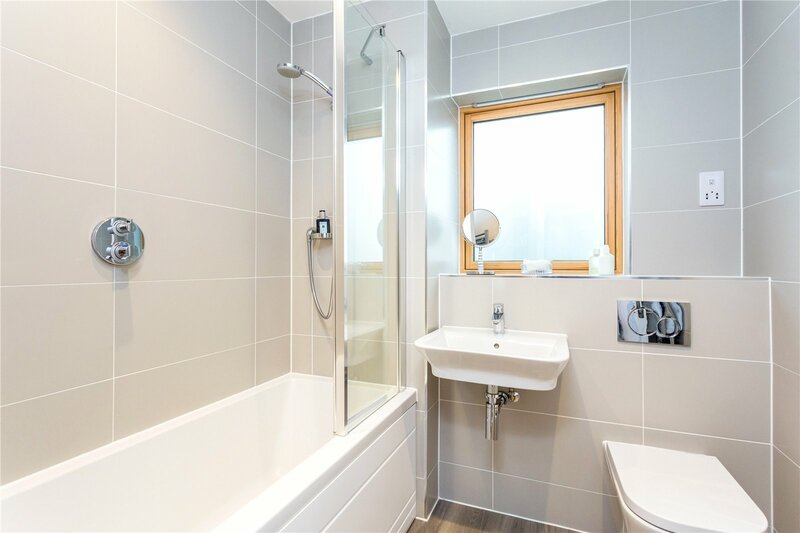 A luxury bathroom serves the remaining two, double bedrooms. The property is approached via a paved driveway to the front offering off road parking and access to the garage. 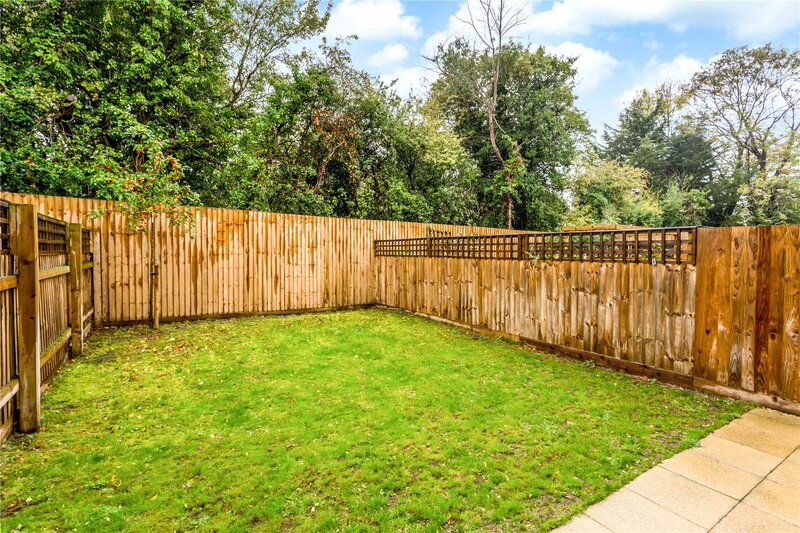 The spacious and levelled lawned gardens are set to the rear, bounded by fencing and anchored by a patio terrace accessed from the kitchen.